Our aim is to be a reliable, accurate and trusted advisor enabling all our clients to take comfort in the knowledge that their accounting, taxation and financial affairs are being managed by a dedicated professional industry leading team. The focus of both the Business Services and Franchise divisions is to assist business owners in adapting to The New Way of Doing Business. The philosophy behind this is to ensure that the business is aligned with the medium to long term intentions of the owners, and focus on making educated and informed decisions with this model in mind using regular communication and the most up to date resources available. With over 25 years of experience in different industries, of which 15 years has been in the Accounting and Business Advisory arena, Jason brings a depth and breadth of knowledge to be able to offer practical and productive solutions to business issues. Having worked for various businesses, including time at Grant Thornton in the Motor Dealer Services team, he can utilize the bigger business methodologies blended with personalized service, offering the best of both worlds for business owners. Jasmin graduated from Monash University with a Master of Professional Accounting and she has been a member of CPA Australia since 2012. Jasmin has over eight years experience in self managed superannuation funds, business and taxation matters before joining BNR Partners in 2017. She loves working with SME clients, helping them grow and flourish. Outside of work, Jasmin enjoys cooking and spending time with her family and friends. Juliann has been with the firm for over 5 years and undertakes the busy role of Client Services Co-ordinator for the Business Services division of the practice. Her administration responsibilities are many and varied and she provides the very necessary support mechanism for Jason Bertalli and his team. Yasir recently joined the BNR Partners Business Services team after completing a Masters in Professional Accounting at La Trobe University. Yasir was born in Pakistan and moved to the UK to complete his education, obtaining a BA-(Honours) Applied Accounting at Anglia Ruskin University. After gaining industry experience with organisations including Barclaycard and Unicef , Yasir immigrated to Australia and has continued to expand his knowledge and qualifications in the accounting field and is enjoying Australian life. Ian is a director of BNR Partners and heads the firm’s Estates and Trusts team; a team that has specialised in the taxation of deceased estates since 2001. BNR provides outsourced Estate taxation solutions and advice to both Legal Practices and listed Trustee Companies across Australia, and has one of the only dedicated teams of accountants in the country that specialise in this niche and often complex area of taxation. 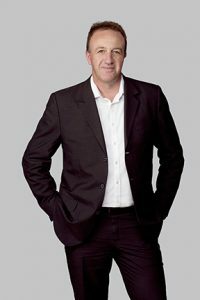 He is recognised nationally on Estate taxation matters as a published author on Estate Taxation and as a frequent presenter at both legal and accounting conferences and events across the country, including for various Law Societies, the Society of Trusts and Estate Practitioners (STEP), CPA Australia, the College of Law and LegalWise seminars. Ian also regularly provides in-house training sessions for both legal firms and Trustee companies, and consults with professional bodies, regulators and the private sector on Estate taxation issues. He has over 25 years of public practice experience and is actively involved in the professional arena. 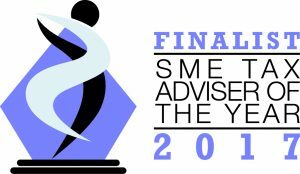 Ian was named as a 2017 finalist in the Tax Institute of Australia’s SME Tax Advisor of the year Awards, and was the recipient of CPA Australia’s 2016 Henry Fox Award for services to Public Practice. 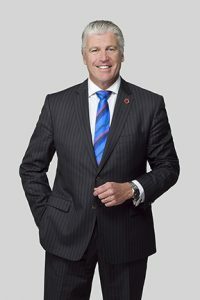 He is a fellow of CPA Australia, a Certified Tax Advisor of the Taxation Institute of Australia, a registered Practitioner of the Society of Trusts and Estate Practitioners, a graduate member of the Australian Institute of Company Directors and the former Chairman of CPA Australia’s National Public Practice Advisory Committee. He also sits on the College of Law’s Estate Planning Advisory Committee which advises on the colleges Masters of Applied Law programs and is currently studying the Entrepreneurs Master’s Programme with the Entrepreneurs Association at the Massachusetts Institute of Technology in Boston, USA. Ian’s interests include, travelling, scuba diving and a good bottle of red with friends. Chanmony is a Tax Consultant in the Estates and Trusts team. 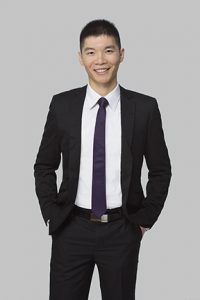 Prior to BNR Partners, Chanmony worked in the tax consulting division of a mid tier accounting firm and gained experience in advising small to medium businesses in all areas of taxation including small business capital gains tax concessions, fringe benefits tax and year end tax planning and business structuring. Chanmony has a degree in Commerce and Law and is also a qualified Chartered Accountant and member of the Taxation Institute of Australia. In her spare time, Chanmony enjoys flower arranging and photography. Irene joined BNR Partners in 2011 as a Tax Accountant in the Estates and Trusts arena. 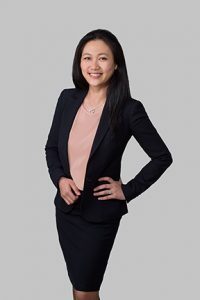 Prior to BNR Partners, Irene worked in the Tax Division of a Trustee Company for a number of years where she developed an in-depth knowledge of the taxation of Deceased Estates and Testamentary Trusts. Irene’s primary role now is managing the Estates and Trusts section of BNR Partners. Irene is a qualified Chartered Accountant, Chartered Tax Adviser and a full member of STEP. Kristin joined BNR Partners in 2004 as an Accountant in the Business Services arena. 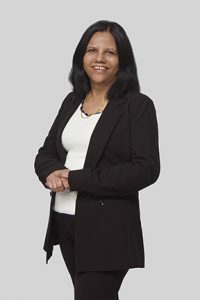 In 2007 she specialised within the firm’s Estates and Trusts division where she developed a solid knowledge of taxation of Deceased Estates and Testamentary Trusts. 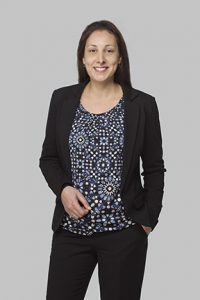 In more recent times Kristin’s primary role has been to manage our portfolio of Not for Profit clients which includes a broad range of Charitable Trusts and Native Title Trusts. 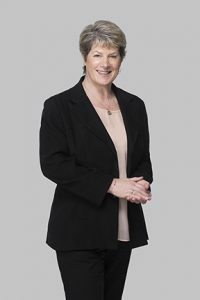 She also manages a smaller portfolio of investment companies and business services clients with associated Self Managed Superannuation Funds. Kristin brings to BNR Partners a high level of attention to detail and problem solving ability. 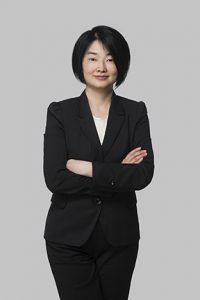 She is experienced in tax return preparation as well as the preparation of general and special purpose financial reports for a broad range of clients. Lisa has worked in the accounting arena for over 12 years in an administrative capacity and became a valued Estates and Trusts team member for us in 2012. Her role covers all aspects of administration in this specialised area. Lucas joined BNR Partners Estates and Trusts team in April 2017 as a Tax Accountant. Whilst his experience prior to this role was principally in the preparation of individual Income Tax Returns, he is now expanding and developing his knowledge to include the taxation of Deceased Estates and Testamentary Trusts. Lucas is an Associate Member of CPA Australia and has commenced his CPA study. Lyn recently commenced work as a tax consultant at BNR Partners after a career of 34 years in the Australian Tax Office. 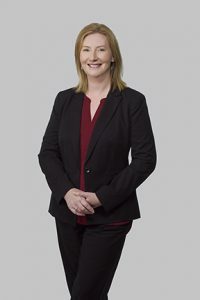 Lyn worked in a range of law roles at the ATO where she gained considerable experience as an administrator particularly in the context of the capital gains tax and trust provisions. 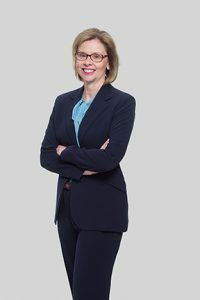 Lyn is admitted as a solicitor of the Queensland Supreme Court and has post-graduate tax qualifications from UNSW. She is also currently engaged by the College of Law to write a course about death and taxation. In her spare time, Lyn works as a volunteer for the RSPCA in Brisbane and for the Ready Reading program. She also enjoys gardening, reading, travel and Scottish country dancing. Lyn brings many years of both Bookkeeping and Administration experience to her role with the team and covers many areas of the practice from handling the day to day functions of tax admin for one of our largest Trustee clients, in conjunction with internal Accounts Receivable/Payable and Payroll, fulfilling a very important role. Lynda has been with the firm for many years and is our Administration Manager ably supported by her team. Her role in the practice covers all of the day to day issues that administration of a busy and growing accounting practice encounters. 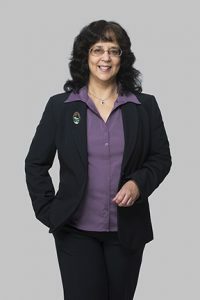 Lynda brings many years of experience in areas such as database management, staff training, IT support, corporate compliance, ATO liaison and assistance with brand marketing. Mark is a CPA Australia Public Practitioner who is a Senior Tax Counsel at BNR Partners providing tax technical and consulting expertise on a broad range of issues impacting the firm’s Estates and Trusts Division. He is also a Professor of Practice lecturing in undergraduate and postgraduate Taxation at Latrobe University’s Business School. Mark is the co-chair of the ATO’s Tax Profession Digital Implementation Group comprising senior representatives from the ATO, the professional bodies, software developers and a variety of practitioners charged with the on-going digital transformation of interactions between the ATO and its strategic intermediaries. He is also a member of the ATO’s Future State Tax Profession Working Group and the Tax Practitioners Stewardship Group being the peak consultative forum dealing with tax administration matters impacting the profession. 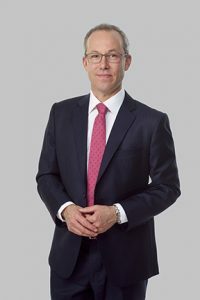 Mark was formerly the Senior Tax Counsel at CPA Australia where he represented members on a wide range of technical, administrative and strategic tax issues in various consultative forums, lodged submissions with the ATO, Treasury and other stakeholders on all key tax developments and originated and disseminated numerous CPA Australia tax advocacy positions on a broad array of issues. Prior to this role he held various senior roles in chartered accounting in industry, and has been a frequent speaker and author on tax matters. 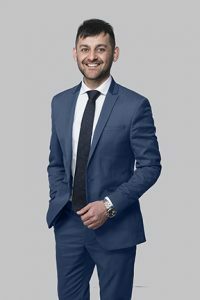 Mark has degrees in Law and Commerce from Melbourne University, and is a registered tax agent, a member of the Tax Institute of Australia and has been admitted to practice as a Solicitor in Victoria. 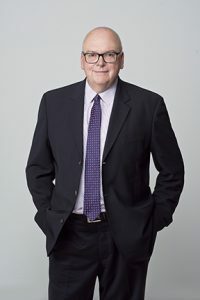 He is also currently a Deputy Chair of CPA Australia’s Victorian Public Practice Committee and was the recipient of CPA Australia’s 2013 Henry Fox Award for service to public practice. 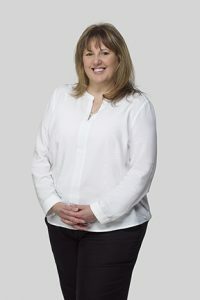 Megan joined the BNR Partners Estates and Trusts Team as a Senior Accountant and has worked with clients covering a wide spectrum of industries including, Medical, Importing and Exporting, Property Development, Manufacturing, Not for Profit, Family Businesses, Superannuation and many more. With over 20 years’ experience in the accounting industry Megan brings a wide knowledge set to the firm. 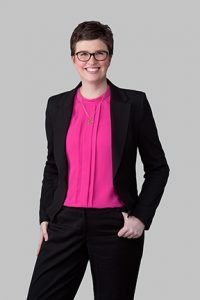 With extensive and specialist experience in Business Advisory Services and Superannuation (including SMSF), Megan is committed to and focused on assisting clients achieve their business goals, by providing a personable and reliable service. 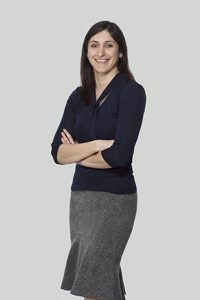 Myra has been with the firm for over ten years in her role as a Senior Tax Accountant in the Estates and Trusts division. Prior to BNR Partners, Myra worked in the area of business services and the preparation of financials. Myra’s primary role with the team is the preparation of Income Tax Returns for Estates and Trusts together with client liaison. Neeraj is part of the Estates and Trusts team and joined us in early 2016. 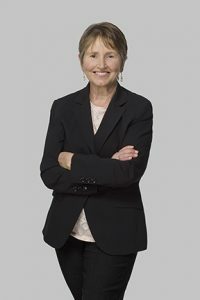 She brought with her a number of years’ experience in the area of tax preparation for individual clients, and now also attends to both compensation and personal injury matters in addition to individual clients. Robert joined BNR Partners Estates and Trusts team in May 2017 as a Senior Accountant. Robert is a CPA Accountant with a professional career path expanding over 16 years in the Trustee & Business Services Industry. Robert’s primary role at BNR Partners is client management with the focus on taxation services for Deceased Estates, Individuals & Testamentary Trusts. Sally joined BNR Partners in April 2017 as a Tax Accountant. 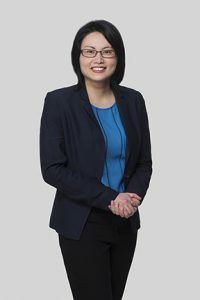 She has a Bachelor of Business (Accounting) from Monash University and is currently an Associate member (ASA) of CPA Australia. 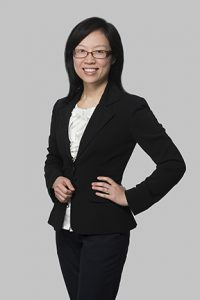 She has four years of experience in taxation; primarily in the preparation of Individual and Trust Income Tax Returns and is part of the Estates and Trusts team. Vicki joined us in 2013 as a Tax Accountant and is part of the Estates and Trusts team. Prior to her position with BNR Partners, Vicki worked in the Trustee Services industry in the Tax Division for a period of four years. 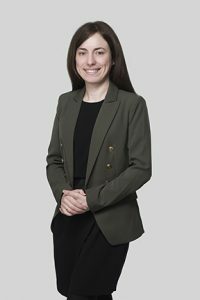 Vicki’s role with us is now focussed on providing taxation services primarily for Deceased Estates and Trusts. She is a member of the Tax Institute. Peter has more than 20 years experience in the financial services industry and has worked as a qualified Financial Planner since 1998. Before joining BNR Partners Financial Planning in 2005, he worked in the lending sector at Westpac and as a Financial Planner at Trust Company. Over time, Peter has developed an extensive network of professional contacts with whom he works closely when necessary. These contacts include experts in the fields of mortgage broking, stockbroking, accounting, general insurance, and Centrelink. After hours, Peter enjoys spending time with his wife and two children, and the challenges of both marathon running and yoga! Peter has a Diploma of Financial Planning and is a member of the Financial Planning Association (FPA). 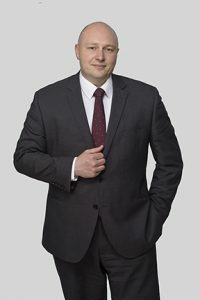 He will soon attain Certified Financial Planner (CFP) status with the FPA, following the successful completion of all five specialist study units. 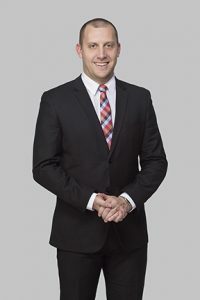 Brenton commenced work as a qualified financial planner in 2010, after developing substantial experience in managing customer service teams in various industries. As a financial planner he knows he can deliver a service experience that is second to none while providing expert financial advice in order to assist clients with one of the most important aspects of their life. Brenton has worked at both small and mid-tier firms and joined BNR Financial Services in 2013. Brenton is a specialist in the areas of pre-retirement planning, superannuation and insurance, but takes a holistic view of financial advice, deeming no one element to be more important than any other. As a result, he constantly works to round out his knowledge in all areas of financial advice. When not at the office Brenton enjoys spending time with his wife and two very energetic young boys. He is also an avid sports fan, particularly of football, cricket and golf. He is heavily involved in local football both as a participant and administrator, and enjoys the element of physical fitness and social interaction that team sports afford. Brenton has completed a Bachelor of Business (Financial Planning) at RMIT after 6 years of part time study. Having worked in the financial planning industry since 2013, Mana came on board with BNR Financial Services at the beginning of 2017. In her role she liaises closely with our Financial Advisors to produce client reviews and Statements of Advice making strategy and product recommendations. Mana also works closely with our Client Services Officer in the implementation of the recommended strategies. Maree works closely with our Financial Planners to assist in servicing client accounts and fulfilling client requests. As many of our clients’ first point of contact for administrative matters, Maree takes full advantage of her experience in customer welfare and administration to ensure that our clients receive exceptional service. Maree’s interest away from work include travelling with her partner, dinners with friends and being a volunteer foster carer, during which time she enjoys giving foster children a fun adventure.